Let’s make fruits fun and snacks healthy by making the two meet! 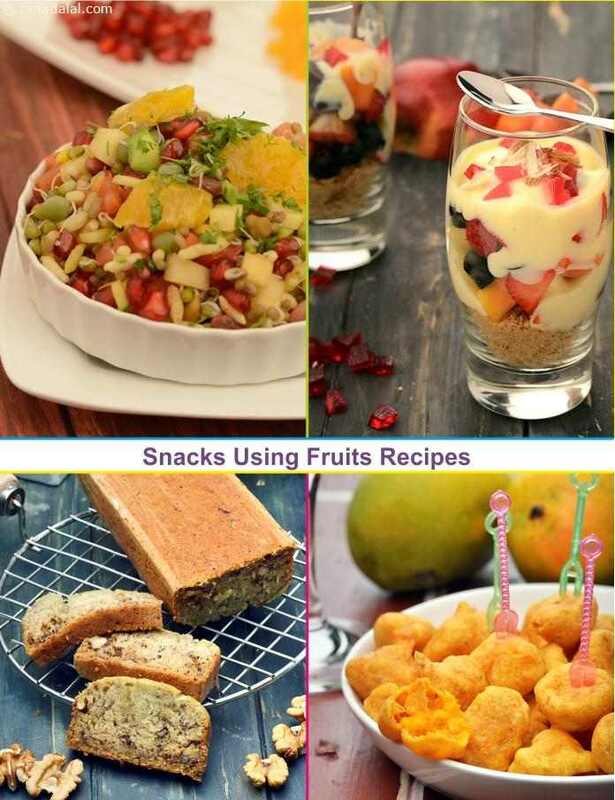 Here we present a range of Fruity Snacks made using nutrient-dense and fibre-rich fruits. Your palate will happily welcome treats like Chatpata Pomegranate or Layered Fruity Custard, as these Fruity Snacks are ideal to snack on at any time of the day. Juicy pineapple pieces are sizzled with simple spices and sautéed to result in a very peppy satay that is also healthy. Moreover, pineapple is a fruit found almost throughout the year, so this dish can be relished any time. Serve immediately to prevent them from becoming watery. Substitute orange with lemon or lime for a variation.